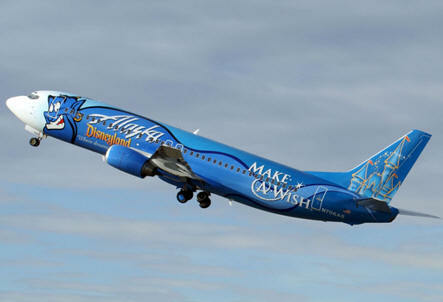 November 1, 2012 - Alaska Airlines, in partnership with the Hawaii State Department of Education and the Hawaii Association of Independent Schools, has appointed a 10-member judging panel for its statewide "Paint the Plane" contest. The contest invites school-aged children in Hawaii to create artwork honoring the unique culture of the Aloha State that may adorn a Boeing 737-800. The 10-member panel, comprised of Hawaii government, business, arts, education, tourism and community members, will select the top three designs as well as honorable mentions. Hawaii residents will then vote on the top three designs and provide Alaska Airlines with their recommendation in an online public vote slated for Dec. 11-18. "Some incredible designs are already coming in and I know judging these entries will be a challenging and difficult task," said Joe Sprague, Alaska Airlines' vice president of marketing. "We're pleased to involve such an esteemed group of Hawaii community members, representing a broad cross-section of the Islands, in this process. Their varied background and experiences will assist us in selecting the designs that best capture the ‘Spirit of the Islands' and we look forward to working with the panel on this very unique and exciting opportunity for Hawaii's keiki." Students in kindergarten through 12th grade from public, private and home schools in Hawaii have until Nov. 30 to submit designs for the judges' consideration. The plane is scheduled to be revealed at a public event in Hawaii in the spring of 2013. The student with the winning submission will get his or her design painted on an Alaska Airlines aircraft, a trip for four to any of the carrier's destinations and a $5,000 scholarship. Second- and third-place winners will receive a trip for four to any Alaska Airlines destination, and 12 honorable mentions will be awarded a $1,000 scholarship each, except for the grade of the grand prize winner.